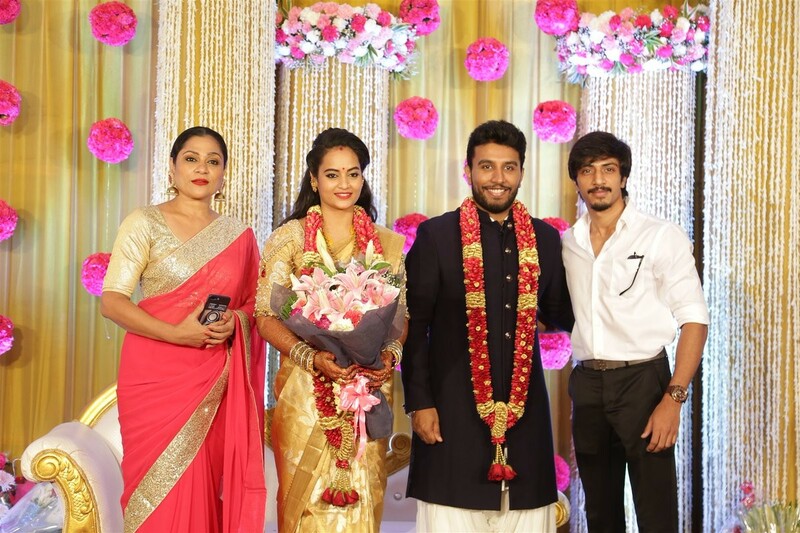 Suja Varunee and Shiva Kumar's wedding reception had the presence of many Bigg Boss Tamil contestants. Here are the photos and videos of the post-marriage event. 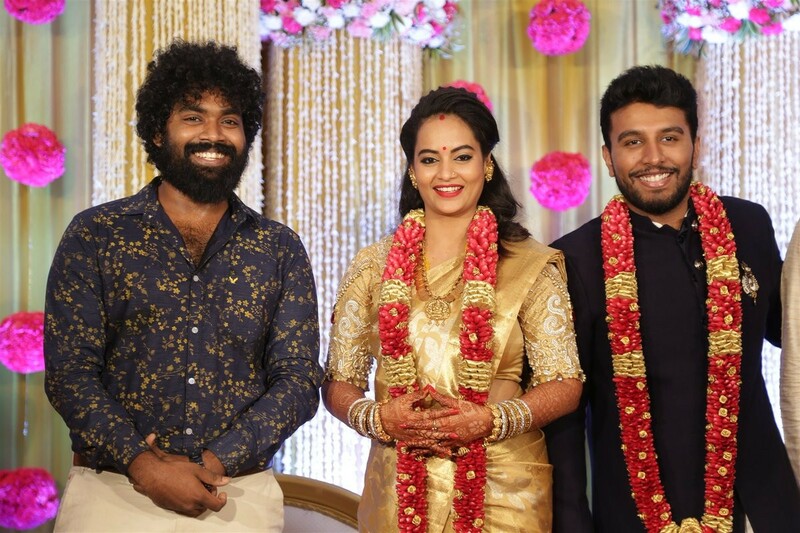 Suja Varunee and Shiva Kumar had the time of their lives as they entered wedlock. 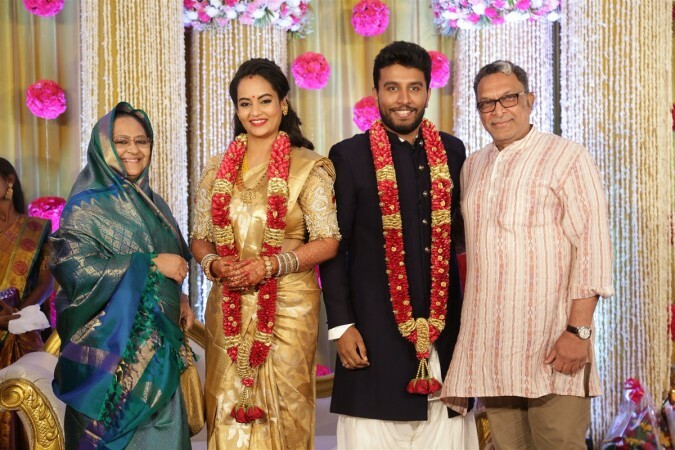 Their marriage was solemnised as per the Hindu customs on Monday, November 19 in Chennai. 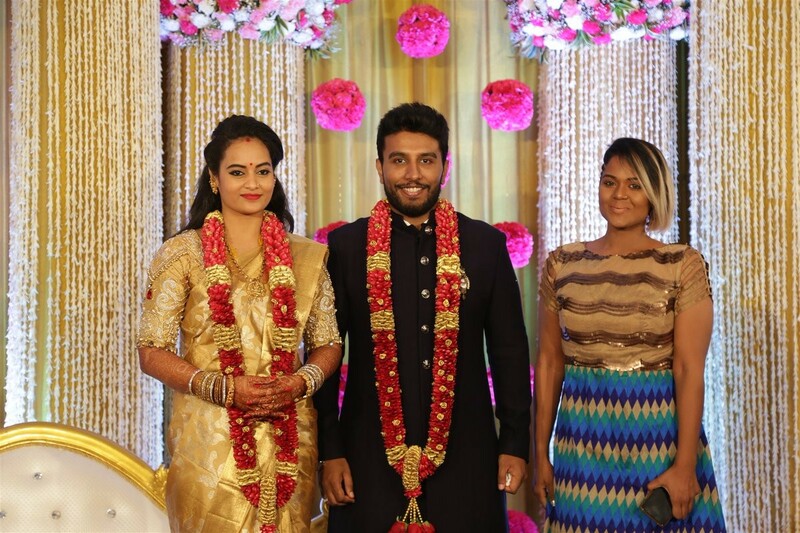 On the same day, they hosted their wedding reception which was graced by some of the well-known names of Tamil film industry. The newly-married kept simple and wore a traditional costume for their wedding reception. While the blushing bride donned beige coloured saree with minimal ornaments, the groom sported dark blue kurta for the evening function. They were seen warmly welcoming the guests and thanked them for their presence at their special occasion. 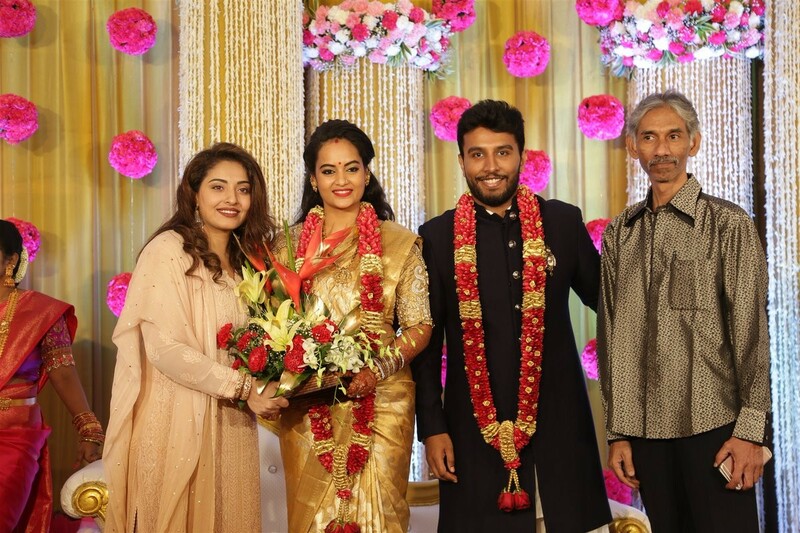 The wedding reception of Suja and Shiva Kumar were graced by some of the popular names of Kollywood and Tamil TV industry. Indeed, many Bigg Boss Tamil contestants from the second season were spotted at the event. 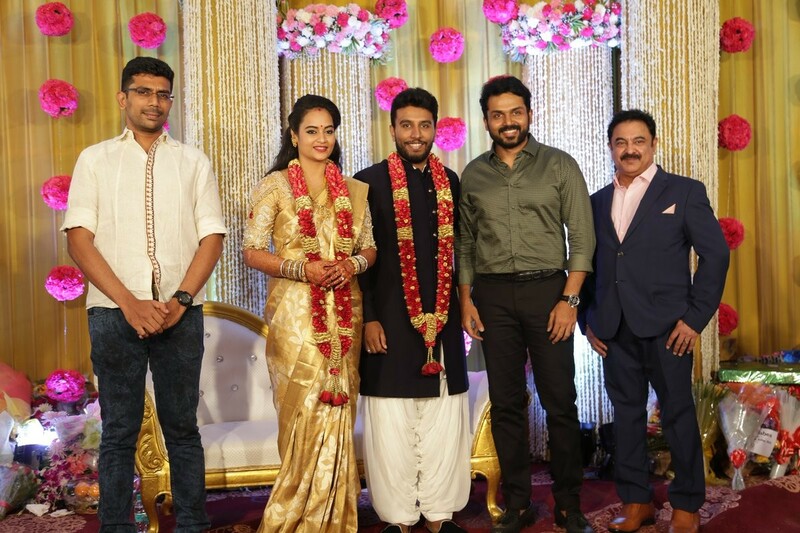 Mohan Raman, Ganesh Venkatraman, Ramya NSK, Mumtaz, Prasanna, Nassar, Karthi, Raghava Lawrence, Ramya Subramaniam, K Bhagyaraj, Shanthanu, Bigg Boss fame Danny, Arav, Janani Iyer, Shariq Hassan and many others wished the newly-married couple. Prior to the reception, the couple tied the knot in the presence of their family members, relatives and close friends. 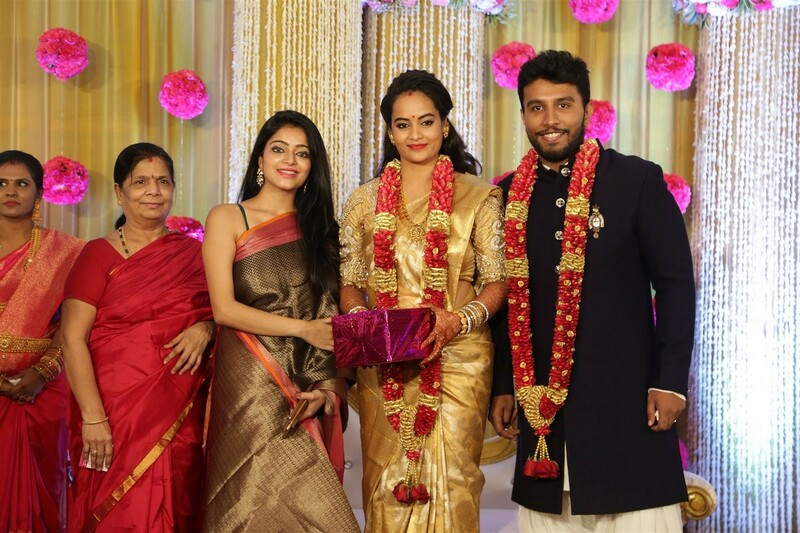 Suhasini Manirathnam, Vishnuvardhan, Snehan, Sivakumar, Ganesh Venkatraman, Radhika Sarathkumar, Sripriya and many other celebrities were spotted at their marriage. 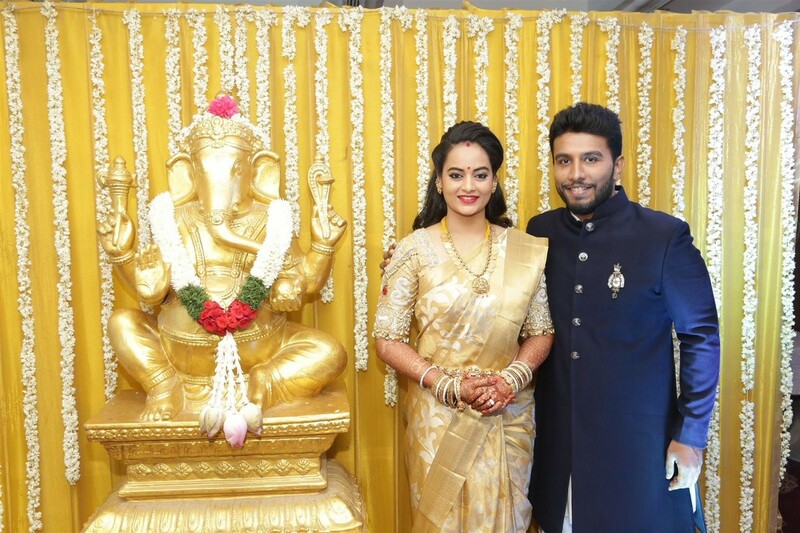 Suja Varunee and Shiva Kumar started seeing each other approximately 11 years ago. The couple's relationship has grown with time and they finally decided to tie the knot after seeking approval from both the families. Suja Varunee has appeared in over 50 movies and became a household name after participating in Kamal Haasan-hosted Bigg Boss Tamil 1. 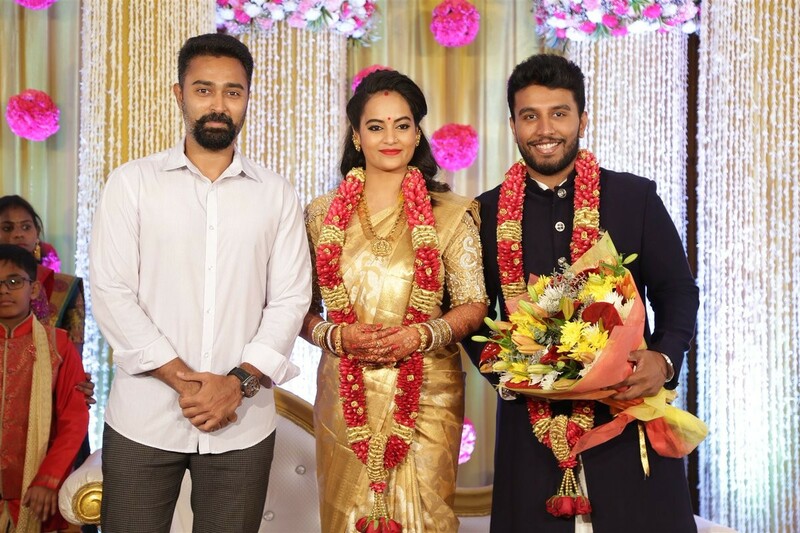 Whereas her husband, who is the grandson of Kollywood legend Sivaji Ganeshan, has acted in three movies like Singakutty, Pudhumugangal Thevai and Idhuvum Kadandhu Pogum. Will Ranbir Kapoor heed mother Neetu Kapoor's advise and move in with Alia Bhatt? Will Tara Sutaria's comments on Kangana Ranaut upset Karan Johar? Did Sanju-URI success influence Vicky Kaushal to break up with Harleen Sethi?